Love is certainly in the air when you are about to propose to your favorite person. And as you get down on your knees and open the holy box with sparkling diamond engagement ring, you can see her eyes widening gasping for breath. She is certainly taken aback with the whole concept and finally she feels the happiness of belonging to someone forever concept. Of course the same holds true for you as well. But then again, I am sure that when someone proposes he should be fully aware of his scenario and what she holds for him from her heart. So it’s almost obvious every time the person gets down on their feet they are aware to get that final yes. But then again, the diamond ring you showcase in that box should be unique just like how your relationship means to you. Just like how she is the one, it should also be the holy one. There are many readymade rings available in the market and finding the right one is like finding a pearl in an ocean. 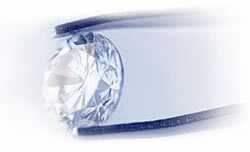 The best option for you would be to go for loose diamonds and customize your ring. This will certainly be unique. And that diamond should accommodate the 4C’s to substantiate its quality.